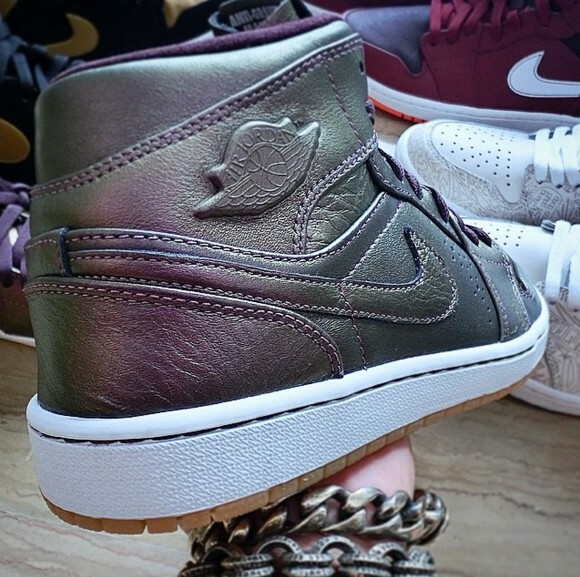 @shoulee81 gave the Internets a look at the Air Jordan 1 ‘Anti Gravity Machines’. It looks like 2015 will be the year of the Jordan 1; the brand will be celebrating the 30th anniversary of Mike lacing up the high top that started it all. 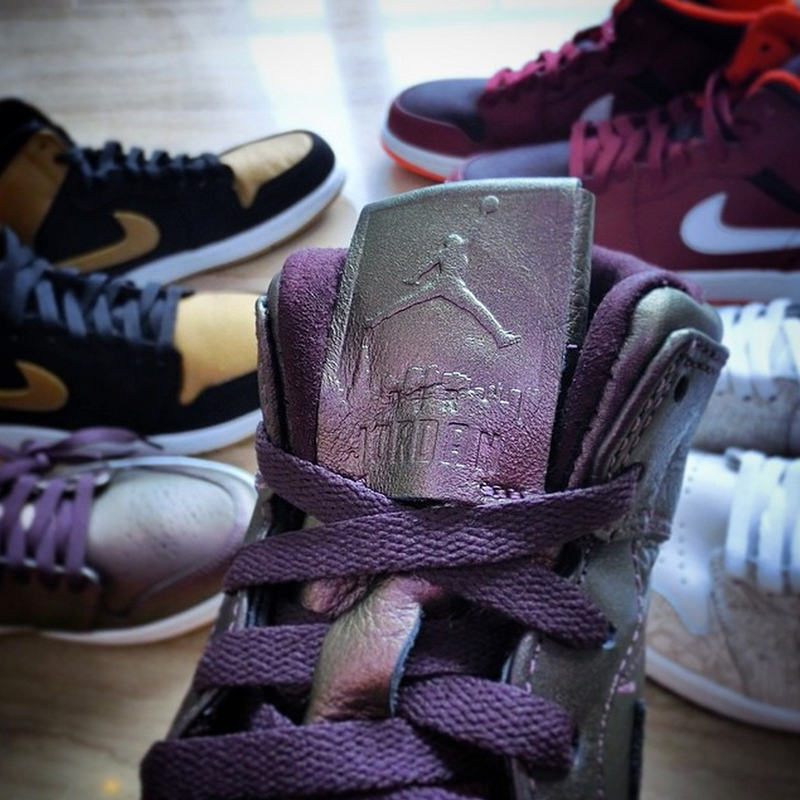 They be pumping out some awesome Jordan 1 Highs and Mids (hopefully some lows too…). 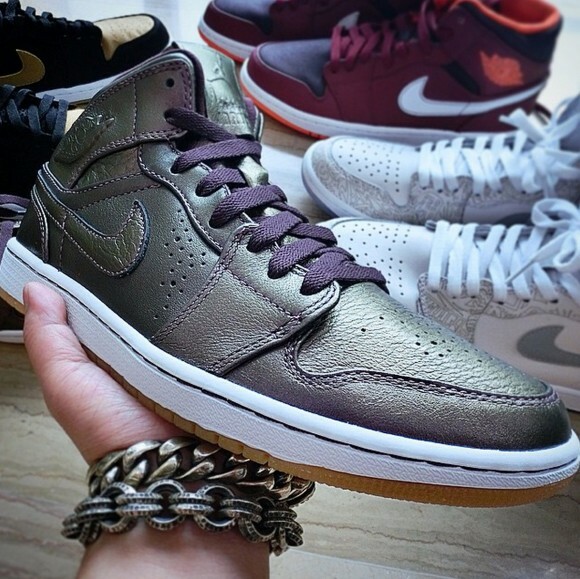 The Air Jordan 1 ‘AGM’ features an iridescent tumbled leather upper with a white midsole and gum outsole. The tongue gets a huge, thick leather patch that flaunts an embossed Jumpman soaring over a skyline (presumably Chicago). ‘Jordan’ is debossed beneath the skyline in a bold font. 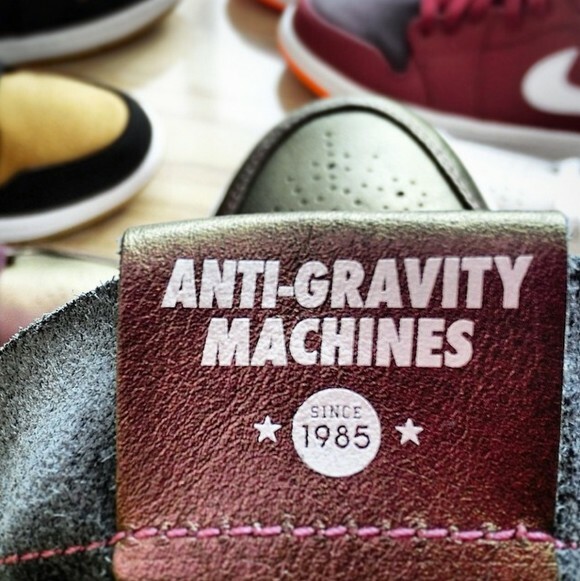 On the inner part of the tongue patch reads “Anti Gravity Machines” and “Since 1985″(what is usually featured on the Air Jordan 1 Mid Nouveau). The inner lining and laces are a rich purple/plum color. These are not official photos and are sample versions of these shoes, not retail versions, so things could change. What’re your thoughts on the Air Jordan 1 ‘Anti Gravity Machines’? Leave them in the comments below. I wonder what they will do for the jordan 30.Maybe unlocked lunar zoom. I think he meant zoom units loaded into a lunarlon midsole. I can imagine that setup would provide awesome cushion and responsiveness.